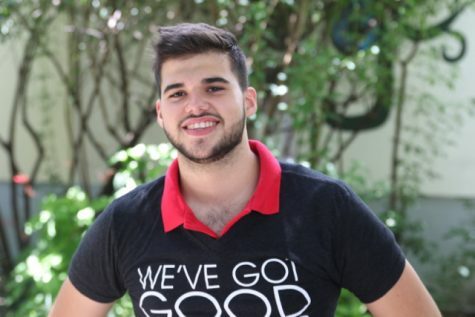 Orestes Garcia is a rising senior in the Health, Public Service and Law Academy at Coral Gables Senior High. Orestes is a humble and cooperative guy, who is looking forward to his last year of high school. He moved from Cuba to Miami last year towards the end of his sophomore year. Although the move was difficult for him, Orestes believes he has finally found his place here at Gables. A few of his goals are to become fluent in English and become a Cardiologist. As a new Spanish staff writer, Orestes hopes to attract more Spanish-speaking students to the CavsConnect website because he wants them to feel included and involved at school. Outside of CavsConnect, Orestes is a part of National Honor Society, Key Club, and the Cancer League where he shows off his love of giving back to people. On his free time, Orestes loves listening to music, watching sports, hanging out with his friends, and play baseball.